Aggressive cancer research may benefit both man and animals, and because many cancers in dogs so closely resemble human cancer, the clinical trials used for dogs can provide meaningful results for humans, too. These trials, taking place all over the United States, are helping scientists find answers in their war on cancer. Canine research hasn’t been confined to studying just cancer. Researchers are also gaining knowledge on spinal injuries and aging, and they are even learning if having a dog improves overall health. But the biggest potential medical benefit for humans comes from work intended to unlock the mystery of cancer. These studies are far from what you might imagine, and not “animal testing” as one might think of it. 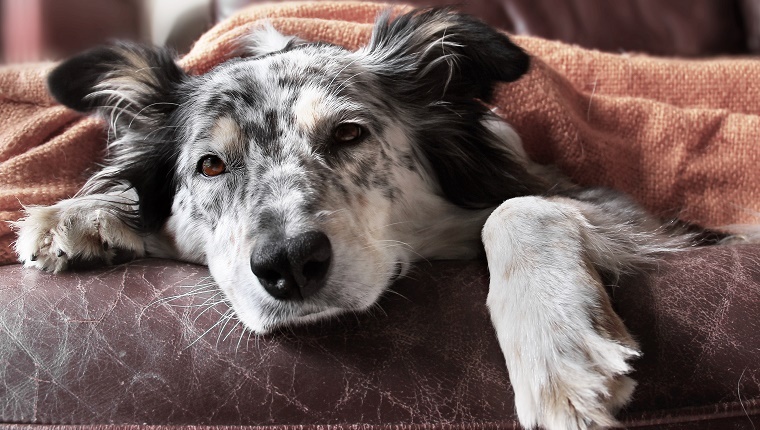 Animals participating in cancer clinical trials are generally dogs with cancer that belong to people who are trying to prolong their lives and provide pain relief for a beloved companion, and most continue to be cared for and live at home. Their owners are getting help from veterinary specialists who have access to the latest information and equipment. These dogs often get experimental drug therapy. Cancer treatments are expensive, but clinical trials are frequently offered at a reduced cost or sometimes at no cost. A new cancer drug for man’s best friend may help advance cancer therapies for humans as well. According to veterinary oncologist DMV Cheryl London, of Ohio State University’s Center for Clinical and Transitional Science, this drug, called Verdinexor, works by preventing powerful tumor-suppressing proteins from leaving the nucleus of cells, an exodus that would allow the cancerous cells to grow unchecked. It’s a new type of treatment for dogs with certain types of blood cancers. Dogs suffering from lymphoma usually go to the veterinary office weekly to get chemotherapy infusions. Verdinexor is a pill that can be given at home, making treatment less traumatic for both the dog and the owner. 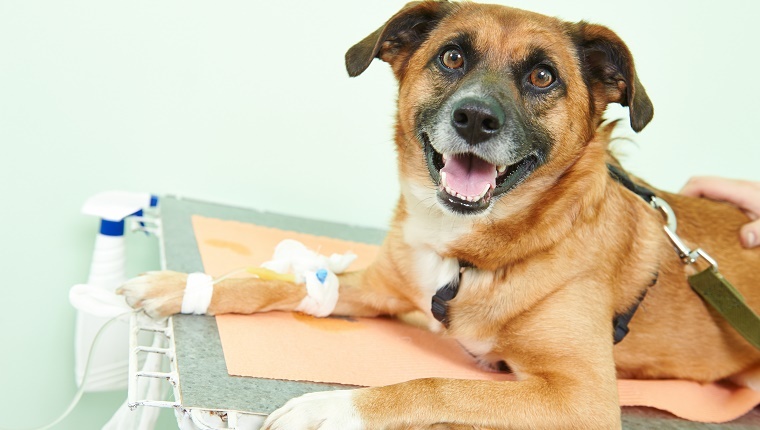 It’s an option when chemotherapy fails or as an adjunctive therapy, and shows great promise: preliminary studies showed that the drug either stopped or slowed tumor growth with over 30% of dogs experiencing some regression of the disease. Dr. London notes that more information sharing is taking place between veterinary and human oncologists, making discovery and development of new drugs more efficient. 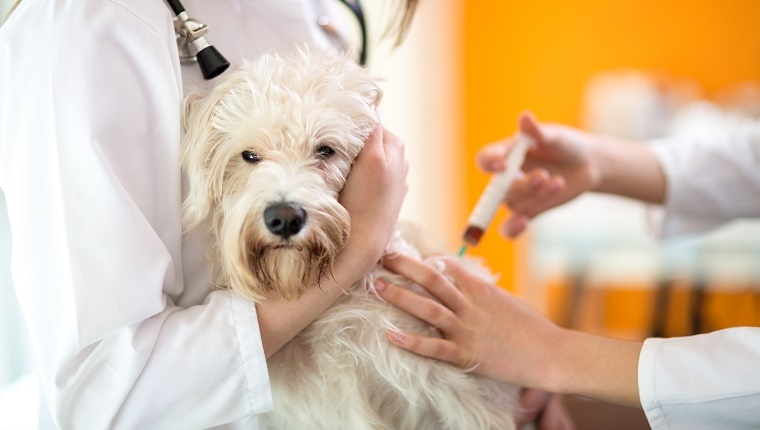 The US Food and Drug Administration approved a portion of Verdinexor’s animal drug application for “minor use” – similar to “compassionate use” in humans. Additional trials of the drug are ongoing, and veterinary oncologists hope to have access to Verdinexor later next year. 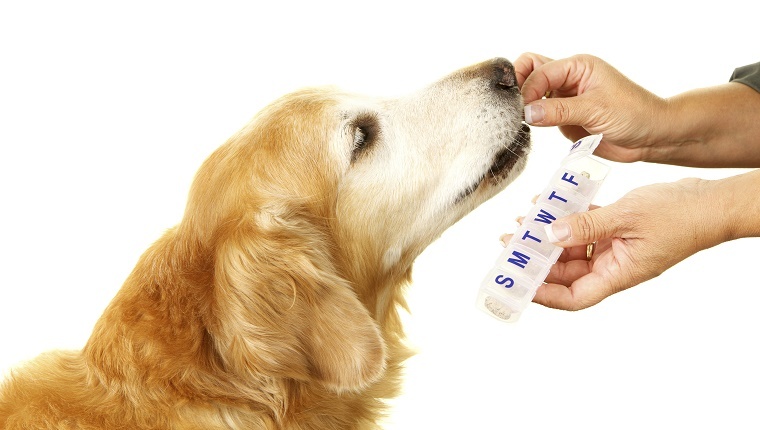 Dog research has certainly led to drugs and therapies that show promise in human health. Researchers are beginning human trials on a number of drugs after successful results from canine studies. Sutent is one such medication, prescribed to battle advanced kidney and other cancers, and human trials are also underway on a drug called PAC-1 which causes cancer cells to self-destruct. Throughout the country, clinical trials are taking place on dogs with cancer, aimed at curing the animals but with huge ramifications for human cancer treatments as well. Over the last 15 years The American Kennel Club Canine Health Foundation has funded over 30 different trials and researchers at 20 universities formed the Comparative Oncology Trials Consortium to cooperate on clinical trials and to share their research. This important work may play a big part in helping researchers to finally unlock vital answers for dogs suffering from the disease, as well as for people who are battling cancer.